Most people think that there are no secrets left to be learned. No places left to be discovered. And yet, within the hills and valleys of Southern California lies a land almost no one has even heard of. Bonsall, CA. If you search you won’t find many references to Bonsall. 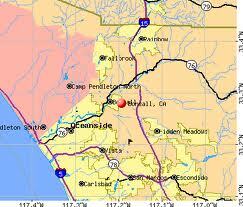 In fact, on the San Diego County Community website Bonsall has a page, but no information. This might scare off the average real estate buyer, but for the adventurous person looking for the right place to get away from it all and start anew, Bonsall is more than perfect. Now, when I say that Bonsall is East of Oceanside most people immediately imagine a sleepy little town in the middle of the desert without any of the amenities that modern life affords. They picture a ghost town with tumbleweeds rolling through the streets, empty saloons with saw dust on the floor and boarded up gas stations that haven’t served a drop of Petrol since Reagan was in office. And boy, are they wrong. 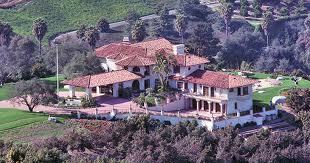 Bonsall is home to some of the most luxurious estates in all of California. Which is saying something. Have you ever been to Beverly Hills? It has everything the modern San diego Home Buyer could want. Not that the prices in Bonsall cater only to the rich. No. Bonsall isn’t some snooty little wealthy community tucked away in the hills far away form the poor folks like you and me. In Bonsall you’ll find gorgeous affordable homes in quaint neighborhoods. You’ll see thriving little condominium communities. You’ll mostly see a lot of smiles. Because here in Bonsall, a close knit community with under 4,000 residents, everyone has a reason to smile. It’s easy living in a gorgeous climate. It’s possibly the most green little town in the entire state, both foliage-wise and environmentally. In shirt, if Norman Rockwell were still alive, I’m sure he’d have a summer share in Bonsall. If you’re looking for a place to discover tranquility while still being firmly plugged into the rest of the world I can’t imagine a better place to purchase a home than Bonsall. And OpenOffer.com is the perfect place to get you there.